It wasn't just the turnout that was unprecedented at this year's edition of Salone del Mobile - it was also the degree of focus in emerging trends. 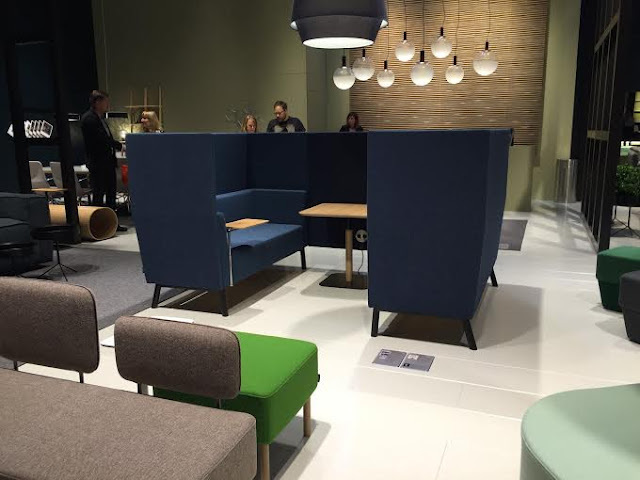 As we mentioned earlier, the convergence of colour and material trends at MDW2016, was sharper than ever. This was seen even in the innovation for office spaces, with balance between "me" and "us" being a key theme. Workplace 3.0 is the biggest event specifically focussed on offices. The exhibition hosted "The Walk", an installation by Michele De Lucchi, that explored how offices of the future need to shed convention and breed innovation. The installation showcased four zones, focussed respectively, on interpersonal communication, balancing solo work with collaboration, special events, and actual creation with the tools of one's trade. All four zones are surrounded by greenery, providing the best setting for people to produce inspired work. This need for balance between collaboration and individual work was evident across several other exhibits too. 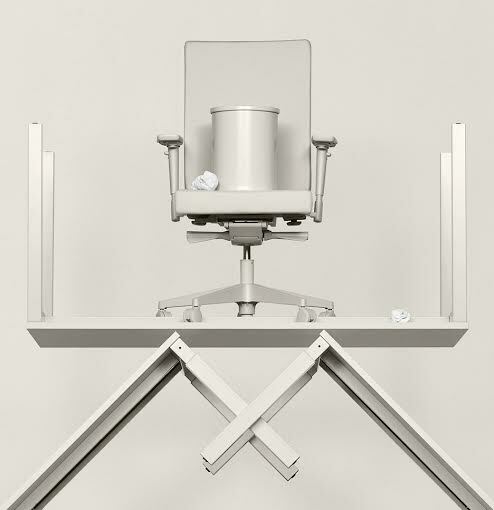 The "Boring Collection" was one instance that offered discreet, unobtrusive but elegant furniture as one way of allowing people at the workplace to stay in a comfortable and visually positive environment, while also not being distracted by overly flamboyant furniture. Another exploration of balance was this acoustically limiting discussion area, with proportions and fabric that makes it work just right. Better than glass, flexible and colourful. Community design seating is important always. 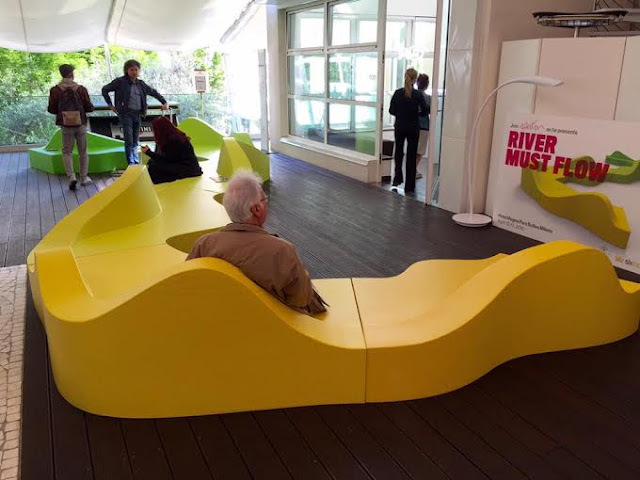 "River Must Flow" brought together modules in various colours and angles to accommodate seating that's comfortable and aesthetic. 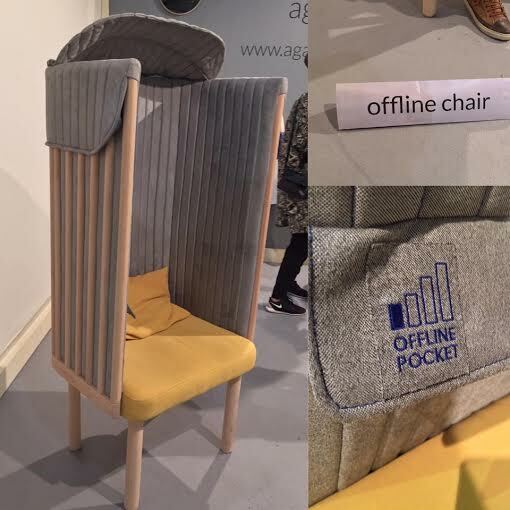 Polish designer Agata Nowak's 'Offline Chair' featured a special design to cut out ambient noise, so you can hear yourself. A special pouch insulates your cellphone from signal. No ringing, no beeps. Just your whole human self again. Stay ahead with the exclusive reports and analyses. Subscribe here, and be the first to get the latest on design and interiors. 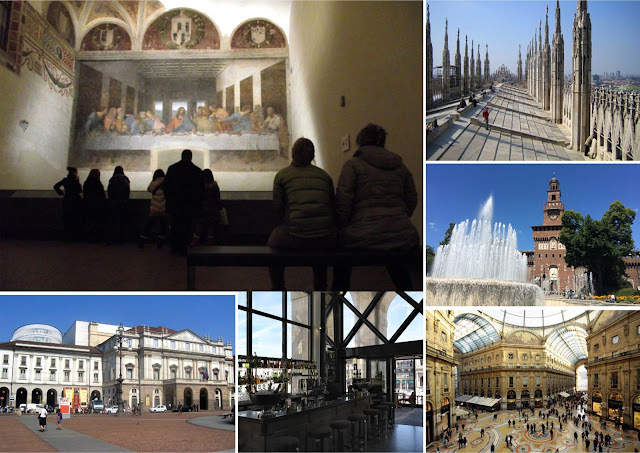 This year Milan Design Week crossed the unprecedented numbers of total attendees making it a grand success and a relentless platform to exhibit the world’s new concept of living, furnishing and designing. During the week, lot of unseen designs and innovations made their debut that caught the public attention. 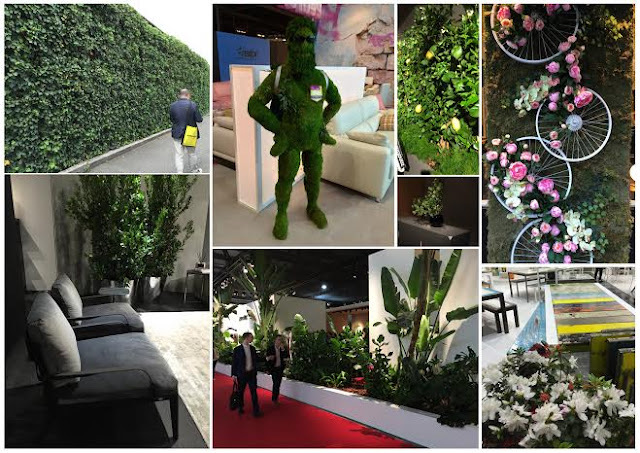 Among them, the latest colour and material trends were the most important ones that interest the design enthusiasts, architects, manufacturers and brands to imbibe them in their new designs for the coming year. These latest trends are pinpointed in our brand’s new collection at the fair. Though a constellation of colours flared up at the fair, some of them were more prominent than others. 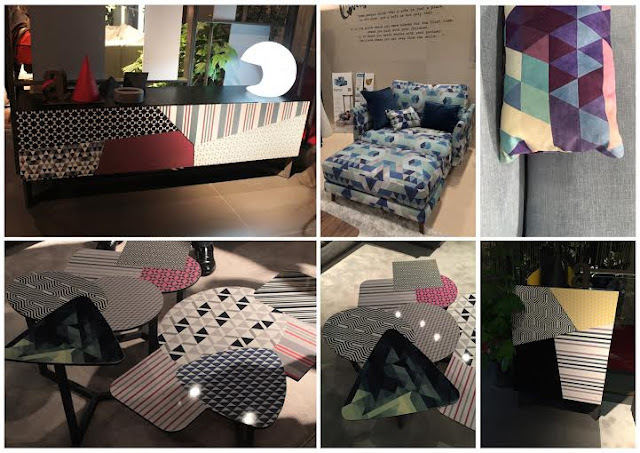 Designers displayed the earth, fire and sky colours meaning green, yellow and blue as inspiration for home and furniture collections that were rich in colour, texture and nature-inspired patterns. The warm grey and pink were also trending, making their appearance in most of the novel designs. Shades of blue appeared in many accents, surfaces, upholstery as an individual colour as well as with a vibrant combination of yellow and pink. The trending colour blue was seen in some of our brands like Fama, Leolux, NicolettiHome and Tonin Casa. Though it may appear that blue is the dominant colour, it was toned down with other colour combinations with coordination and varying widths. 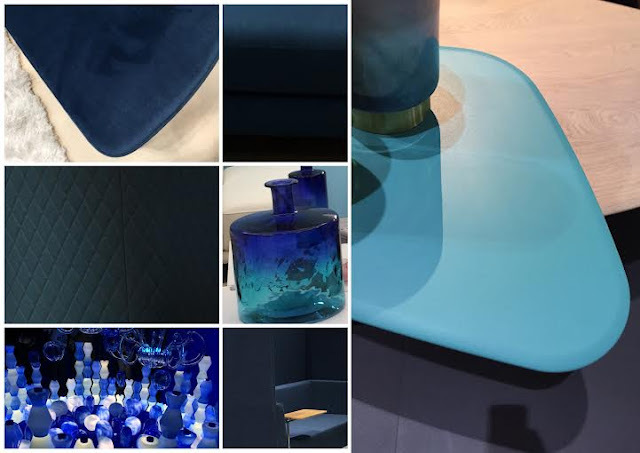 In contrast to the previous year, blue this year appears in upholstery and cabinets. Yellow and its shades too surfaced in upholstery and accessories and were seen in brands like Leolux and Koinor. The stripes re-emerged last year, mainly in fabrics. 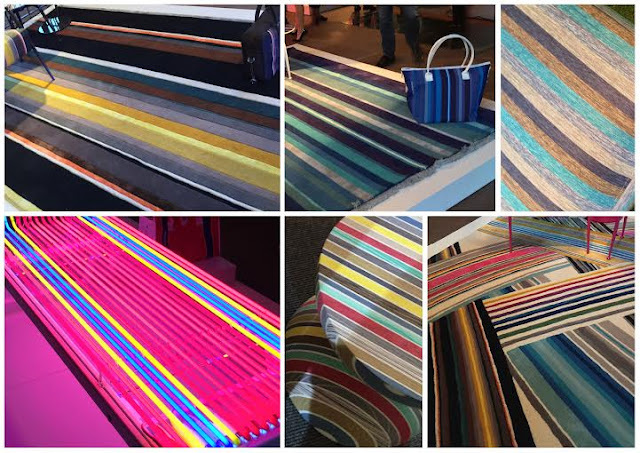 This year stripes are onto product surfaces, carpets and of course upholstery. Various combinations can be seen with yellows or blues dominating. Warm grey this year became a defining tone, a neutral colour that makes everything past and present crossover into classy-contemporary. 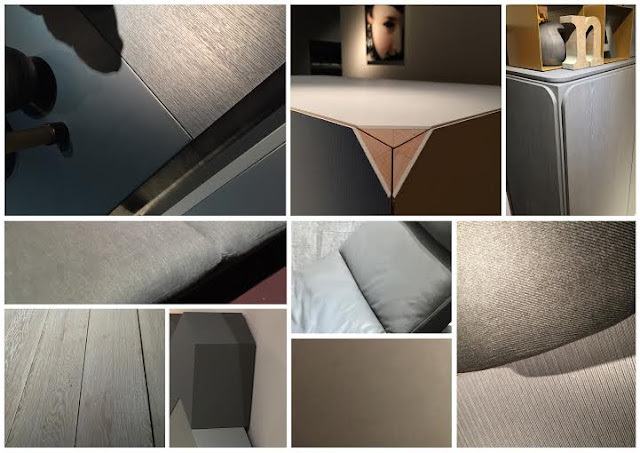 From permanent surfaces like floor and walls to upholstery and wood finishes. It is a base palette of tones that works for all other accents. 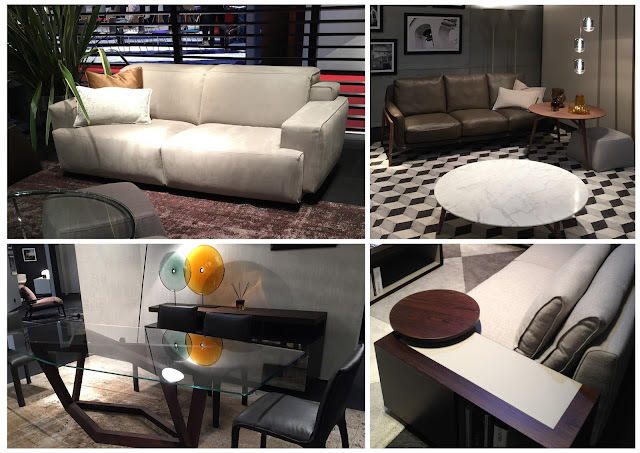 Shades of grey were seen in brands like Alf Italia, Bonaldo, Fama, Koinor, Natuzzi and Tonin Casa. Deep red derived from marsala is a parallel tone, used independently among other accent colours. Bonaldo, Calligaris, Koinor and NicolettiHome showcased some of their new collection in deep red. Pastels were seen in the most obvious brand Fama. NicolettiHome this year had a theme ‘In a World of Colours’ under which the new collection expressed its fusion of colours. In a nutshell, arriving at the colour trends for the year is the most challenging with multiple colours or a blend of colours appearing in most designs. However, warm grey, deep red, blue, yellow and green are pinpointed as the colour trends for the year. Wood is back in an unprecedented way. Oak with oil whites, walnut, high gloss and matte, lights and darks and reds, all colours are now part of the stream. Real wood, laminate foils, printed textures in variety of colours and finishes- indicate a shift to creative uses. Wood in different finishes is predominant in brands like Alf, Calligaris and ToninCasa. Metals and marble. It's everywhere; on table tops of all kinds, small and large. High gloss metals are the cutting edge now. Metal surfaces can be found in table bases too for instance in Amond table by Bonaldo. Besides, tones remain neutral in the whites to Browns. Marble has taken a centre stage, adding a hint of glamour in an exciting range of colours like peaches, blush pinks and inky black. Chiefly found in new collections by Bonaldo, Calligaris and Natuzzi. The ceramic topped table is a design and production trend that's here to stay. Heat and scratch resistant being their highlight, they can be used for outdoor purposes too. Tonin Casa’s ceramic top dining table has a metallic sheen with a bent wood base, while Calligaris had a ceramic glass top round table with fluid mechanism which stands as a new trend for dining table materials. Super thin durable marble layer on glass top is also another trend in coffee tables. The colourful stained glasses or the rainbow spectrum glass in wide range of colours were also a trend in cabinets, coffee tables. Iridescent glass was also trending with designers experimenting with interesting colours giving the futuristic an elegant touch. Free expression returns to interior design. Old and new come together in unusual ways again. Bold choices in combinations, from floor to wall, and all that goes within furniture and accessories made a prominent mark. Art deco and art nouveau did not glimmer this year and were taken over by pure colours and patterns. 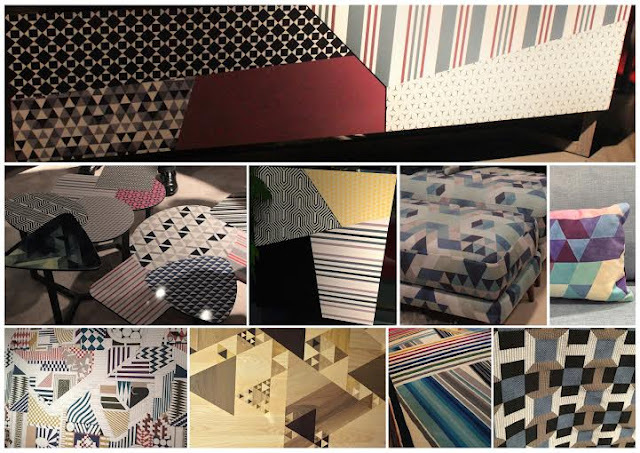 Geometric patterns get stronger, finding their way into all surfaces - fabrics, metal, laminates and wood. Tones of colour are mixed and strong. This bold trend will stay for a while, enabling a transition to a new way. One of our brands Bonaldo, held a strong outlook for avant-grade or geometric patterns in cabinets, coffee and centre tables. Fama also had some of their products like Helsinki in geometric designs including sofa pillows too. One can see diamond shape, stripes, triangle, rectangle, straight lines, circles, square all over the fabrics, accessories and designs making geometrical and composite fluid art clearly spanning over new designs and materials at the fair. 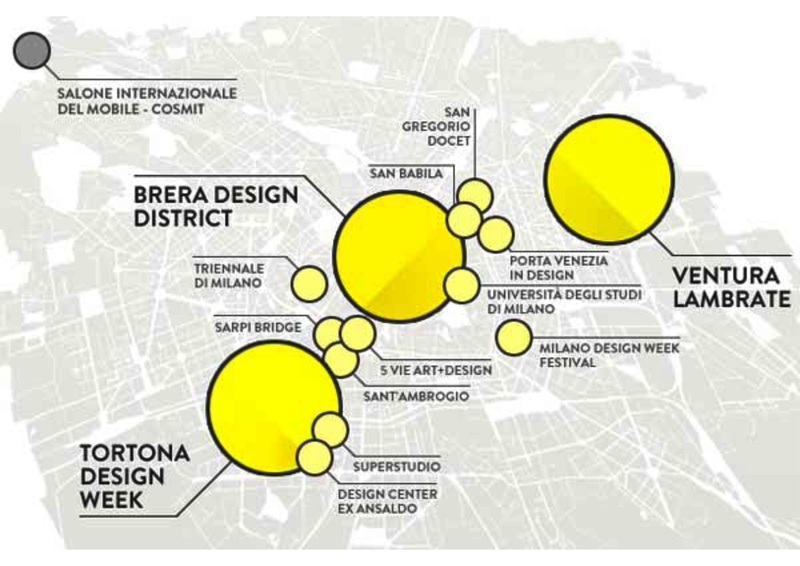 The analysis of the changes that Milan Design Week 2016 brings to interiors. Exclusively by Simply Sofas. We've pinpointed eight defining trends for the year ahead. While few are logical advancements of the trends of the last year, most are bold and afresh for the time. Here they are, may you enjoy working with them in your design projects. Warm grey is the new brown, beige and khaki. A neutral tone that allows only specific combinations to work, this is the defining colour that's going to hold good for years. The subtlety of this colour, which is really a mid-tone grey infused with varying shades of brown, gives rise to class and sophistication effortlessly, when used right. It straddles the affected heritage look and the contemporary, which makes it perfect for almost any style of interiors you choose - art deco to minimalist. See it on permanent surfaces such as floor and walls, and even upholstery and wood finishes. A base palette of new-age tones that works for some accent colours and textures, but not all. What to do. Use a dark and light tone in cahoots. Combine with white. Work with the other elements outlined here, such as motifs and stone to gain consistency in your interiors. We've seen it in flooring tiles in India for years. Geometric motifs are back in a big way, but as a boxed pattern often alongside another pattern. These two-tone, high-contrast, simple patterns are finding their way onto all surfaces - fabric, metal, laminate and wood. Printed surfaces that echo the 'urban tribal' nature of design today, an anthropological influence we see flowing into the west from African and Oriental art. Traditional art deco motifs can also work with the warm grey, but are less hip. We see this bold trend staying for a while, enabling a transition to a new way in the future. What to do. Cluster a set of motifs together in small volumes. Use neutral white with black or an accent trend colour. Digitally print on light fabrics or on wood for wall panels. Use art. Oak, oak with oil whites, walnut, eucalyptus, lights and darks and reds, ebony, greyed wood - almost all colours are now part of the stream. High gloss and matte finishes are both en vogue, and real wood is being used more creatively. 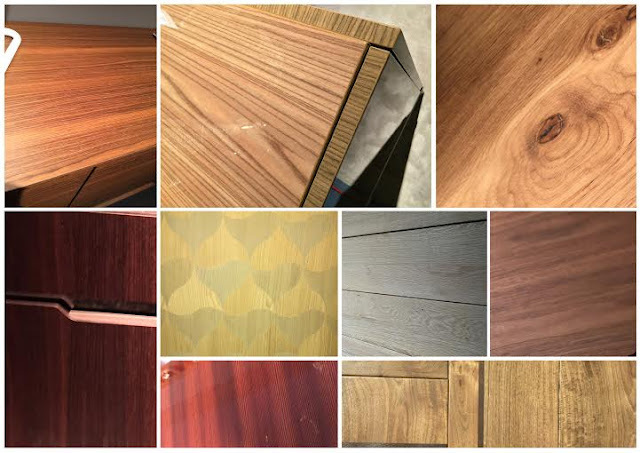 Wood-finish laminates are being printed on and particle boards are growing in use, longevity notwithstanding. What to do. Use two tones of wood in the same space, in contrasting measure. Flooring, doors, windows and panels. use full-plank wooden topped tables with metal bases. While all this makes it more challenging, it is good for the result - where sharp design counts for everything. Four. Bold Blue and a new Palette of Colours. The shades of blue are many, from the dark, royal tones to the light ice blue and blue-grey. Golden yellow and mustard come next. Dark red, the offshoot of last year's fashion colour marsala, is stronger than before. Ochre, crimson and light pastels, especially pinks and greens follow. All these colours work beautifully with warm grey. White remains a balancing tone, used in moderation. These dominant trend colours have evolved beyond accents, and are today a permanent feature in leather and fabric upholstery, kitchens and cabinets. What to do. Get the latest designs in bright tones as soon as they become available. Accessorise with vases, cushions, wall hangings, sculpture and pop-art posters. Heat and scratch-resistant Ceramic table tops, and Marble with fluid patterns, throwing up 3-4 tones - are standard in table tops. Whites and browns mainly. 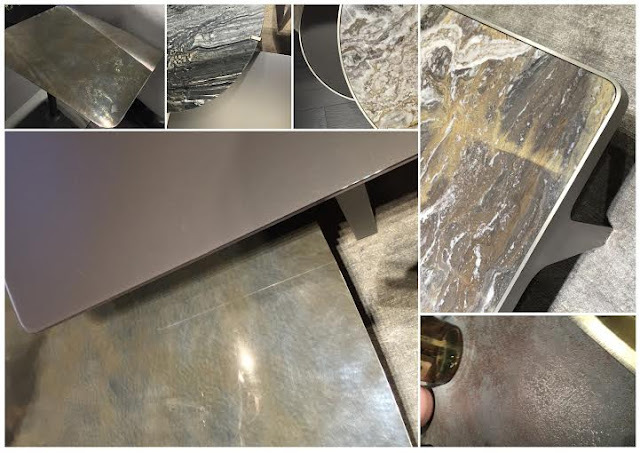 Metals in the warm grey tone, with a high-gloss or copper cast, are also popular in tables, and composite materials like jesmonite, which offer a mottled optic, are growing in use for various elements - from bathtubs and lights to table bases. What to do. Break a static ambience with a standout table combination of marble with grey metals or copper. Choose tables with composite bases and glass, marble or ceramic tops. We saw the re-emergence of stripes last year, mainly in upholstery and other fabrics. This year stripes moved onto product surfaces, flowing across all dimensions, and carpets, but not wall coverings. The colour combinations are many, but very tasteful, with yellows and blues dominating. This enables easy coordination with different coloured accents in the room. What to do. Vary the widths of stripes in a sequence. Use contrasting tones. A large oil painting of stripes on the wall can make all the difference. Real plants, not fakes, are in. Tall ones, short ones, and largely non-flowering, so that colour design isn't affected. Dropped from the ceiling where you least expect it, or across entire walls. Used as partitions, or a design theme. What to do. Go green inside and out. Nothing is better than the natural beauty of plants, and it's also good for the planet's changing climate. Cluster a mix of tall and small plants in neutral (warm grey) planters. Multifunctional furniture is in, as rooms sizes get tighter or people want more. Functional furniture have additional utilitarian features, and serve as a substitute for something else. Sofas with flexible modules and discreet reclining mechanisms, extensible dining tables, coffee tables with unusual storage and built-in lighting, colourful adjustable shelving systems, and so much more. What to do. Get furniture that enhances the experience of comfort. Most features are designed for convenience and ease. Furthermore, the odd functional seater or table adds to style and conversation. Simply Sofas will be amongst the first in the world, and India, to have furniture on the floor that work with these trends, from the brands that drive them globally. We already have a selection in our stores now. This year you’ll see a blend of styles and designs at the exhibitions– abstract and simple, iconic and innovative, muted and loud, some monochrome others contrast. Here are top picks from around the city one should visit at the Milan fair. Known for making shoes and shaping the sports arena, Nike has widened its horizons by trying its hand at furniture. 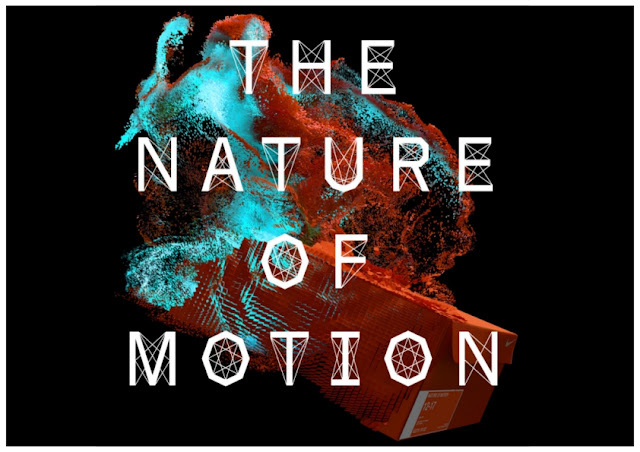 At Salone, with a series of events, talks, and product presentations, Nike has teamed up with 10 contemporary designers whose work revolves around the human body’s potential and the miracle of motion. These designers have worked closely on both conceptual and practical areas on the theme. Martino Gamper, Lindsey Adelman and Clara von Zweigbergk are among the few designers. Nike technology such as flykit textiles will also be showcased. 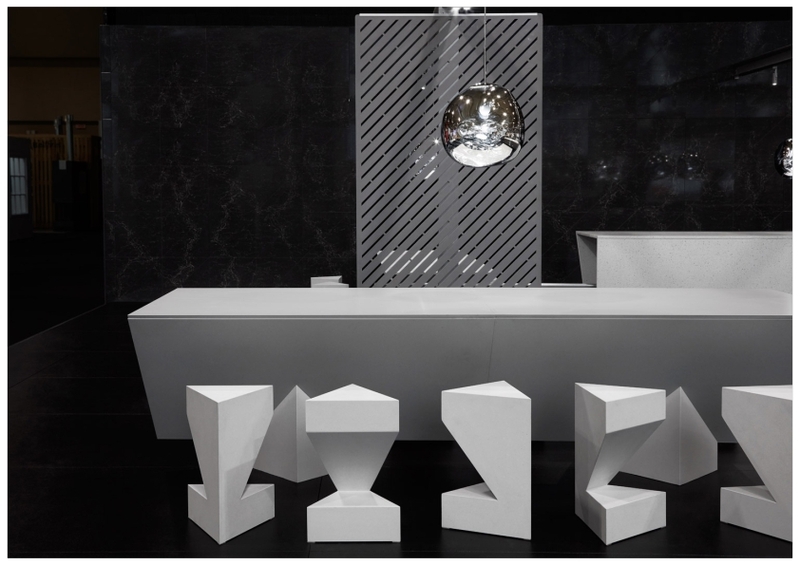 British designer Tom Dixon's second installation at Milan on kitchen concepts with Caesarstone called, ‘The Restaurant’. Following on from ‘Ice’ at IDS Toronto earlier this year, he is bringing all four elements to the table this time. Bringing four nature elements he creates four kitchen concepts – 'Earth', 'Fire', 'Water' and 'Air' – using Caesarstone’s durable wares inside the historic Rotonda della Besana. These models will be serving up conceptual food realised by Italian food design studio Arabeschi di Latte at The Restaurant where Dixon will also present his latest collection of products called Materiality. The theatrical kitchens will be interactive, with scientific cooking methods and ingredients, including air whipped meringues and hay box cooked roots and mushrooms. This year the Israeli design studio Raw Edges is all set for the new edition of contemporary design research at 5vie art + design. This exhibit particularly investigates the herringbone pattern that decorates the floors of various Stella McCartney showrooms. 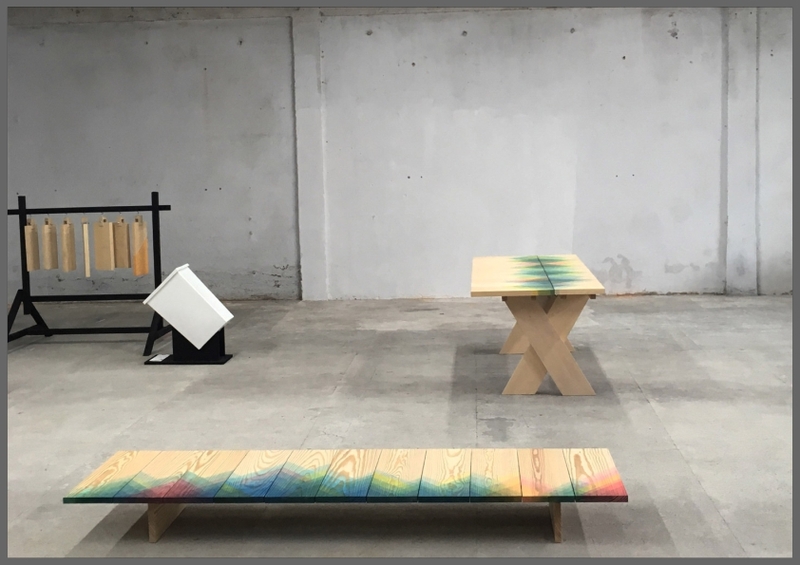 The installation will act as a performance, starting with the production materials they use for their experimentation with colouring woods to how the unending pattern is formed. Marking their fifth year of immersive installations at Salone, fashion brand COS has teamed up with Japanese architect Sou Fujimoto to create ‘Forest of Light’ this year. 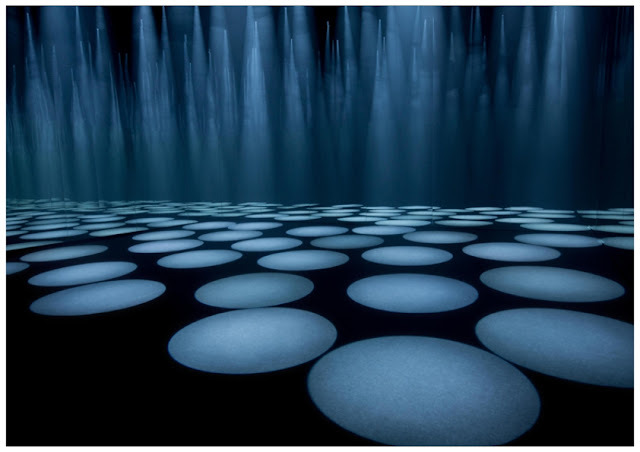 Built around Fujimoto’s connection with the forest-like cityscape of his hometown Tokyo, the experience will involve a room of spotlights creating tall looming structures in an intimate display. Nodding to the clean and clear lines of COS’s signature aesthetic, the interactive experience will react to visitors’ spatial awareness within the theatrical setting of Cinema Arti. 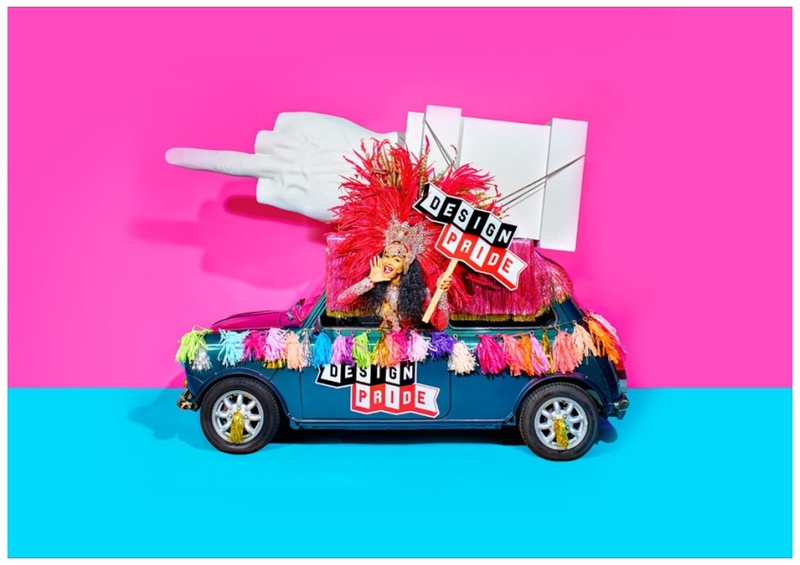 The Italian brand Seletti, known for bringing their vibrant party to the show, will be travelling across town this year with their design joy in a parade called 'Design Pride', part of 5vie art + design. 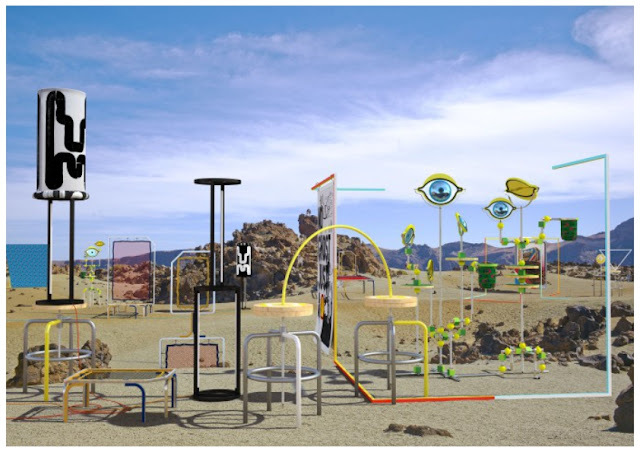 The ‘carnival of design’ will journey on floats across the city and will showcase other designs like Toiletpaper’s jungle themed float, Pepsi’s new collaboration with Fabio Novembre and so on. The carnival will end at Piazza Affairi with a party organised by Disaronno, celebrating the launch of their limited edition printed jar, designed by Studio Job. 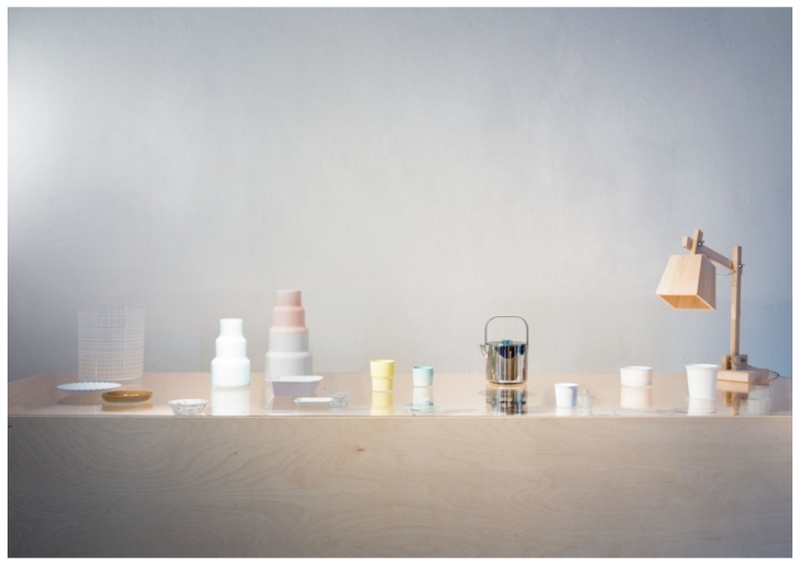 MINDCRAFT will showcase the latest in Danish craft and design under the theme 'In My Mind'. The exhibition will feature the works of 16 different participants. Curated by -Italian design duo GamFratesi, this one with its breadth and quality of products will impress its onlookers. A project which took two years to complete is ready to be showcased to the public. The Netherlands in collaboration with porcelain sector, creative directors Teruhiro Yanagihara and Scholten & Baijings have brought together 16 designers to work at ten Arita potteries. You’ll be able to witness over 300 new ceramic pieces, bringing the historical, 400-year-old skills of Arita production into the contemporary world. Curated by Beppe Finessi, this exhibition explores explores 11 different styles in 11 diverse spaces, realised by 11 modern Italian architects. The installation begins with a historical and chronological survey of Italian interior architecture, after which the visitors will experience a temporal shift, arriving at bespoke room sets including Alessandro Mendini’s prison-like view of constricted isolation and Umberto Riva’s solo minimalist living space, titled 'Proposition for a Bolt Hole'. 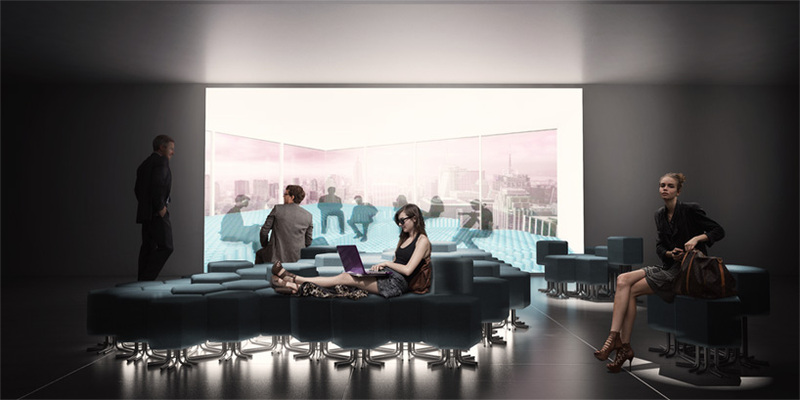 The sequence of rooms will include a seating system by architect Carlo Ratti that he claims is the "world's first Internet of Things sofa". The exhibition will be centered on a vision of home living projected towards the future. 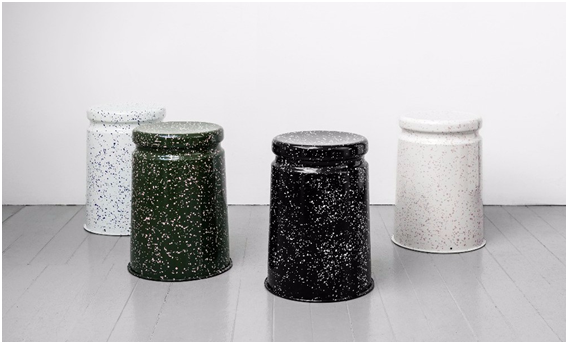 One of the unique installations at the fair, Hem are hosting Ice Cream Socials inspired by Max Lamb’s new ‘Last Stool Splatter’. Four custom gelato flavours by Gelateria Rigoletto will be served with one matching each stool style. Hem has collaborated with Philippe Malouin, Karoline Fesser and Studio DeFORM to host the exhibition. Paying homage to what came before “actual” design. 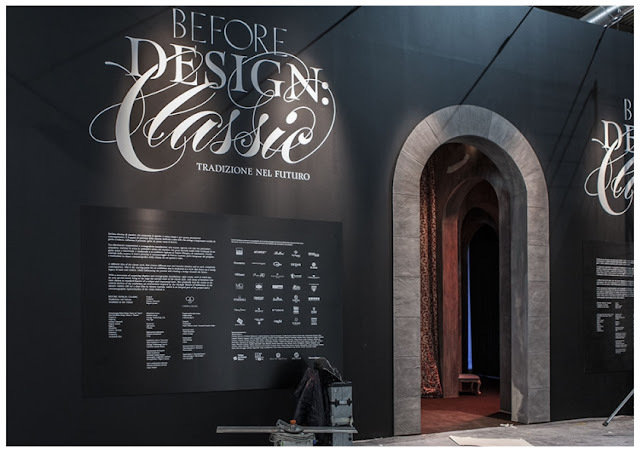 An exhibition-event titled, “Before Design: Classic” will reflect on the classic soul of contemporary living and the short film by multi-award winning filmmaker Matteo Garrone. In the film, traditional furniture acts as a 'protagonist' telling the story of historical design's elaborate grandeur. The film being the integral part of the exhibition-event is partnered with an exhibition, inspired by the classical Palladian villa, of different classical room sets. 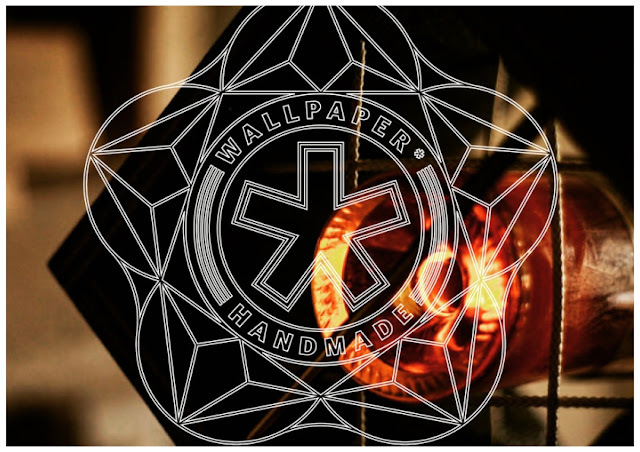 For its seventh edition, the wallpaper once again takes over Via San Gregorio’s Arcade at the fair. The Hotel Wallpaper* will feature an exhibition of specially commissioned objects, furniture, fashion, food, accessories, services and installations, dedicated to the fine art of hostelry and world travel. 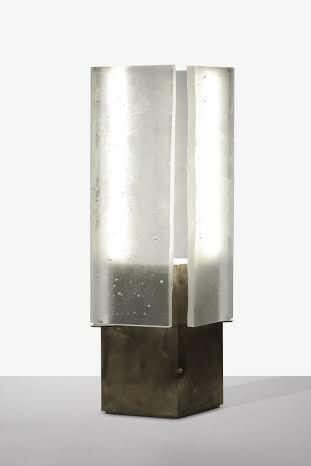 The Arcade will also feature an installation of aluminium by Jean Nouvel and Neal Feay. In addition, Austrian lighting specialist Kalmar will join forces with the WallpaperSTORE* for a presentation of key pieces from the Kalmar catalogue, paired with production versions of Wallpaper* Handmade projects. Rethinking office furniture, the Dutch brand Lensvelt and Amsterdam architecture studio Space Encounters have given a new twist to workspace with 'The Boring Collection'. The collection aims to restore the balance between work and play. Not beautiful, not minimal; just inconspicuous, functional and basic. The installation is located at the Ventura Lambrate. With brands creating inconspicuous chairs and desks that blend into the workspace, wacky office furniture is out. Partnering with Milan’s PlusDesign Gallery, Mathias Augustyniak and Michael Amzalag of the über-hip Paris design duo M/M are presenting two limited-edition pieces of modular furniture, called Citronnier and Underlay. They will stage a utopian living situation featuring furniture from the duo’s previous works as well as a new creation that combines the studio’s rigorous research methods with a new wit. The pieces will be housed within a retrospective of sorts of their creative projects, in both set and interior design. Testament to their connection with the best of the fashion world, a couple of their artistic installations will also take center stage at Milan’s Dior Homme boutique. 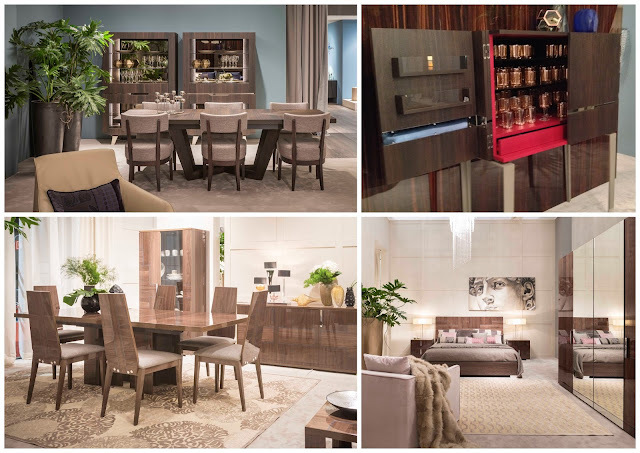 Alf Italia: With many innovations, vast collections, beautiful high-gloss finishes, wood at the core of its legacy, and a blend of neo-classicism with contemporary, Alf settled on its true sensation of luxury elegance through made in Italy. Along with dining table, beds and side table, the bar cabinet amplified the trend with its respectable veneer on the outside and a bold monotone on the inside. 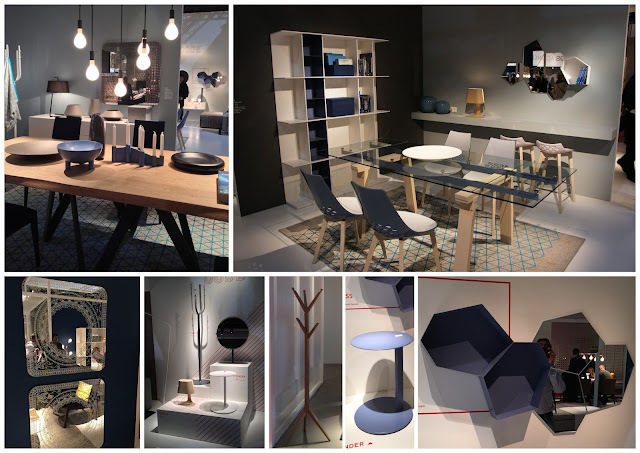 Calligaris: With dining at its centre stage, there were other solutions that reflected new ideas and concepts which include study tables, storage and display, lights, mirrors, coat stands, light storage and accessories. Some of the noteworthy collections include Damasco mirror, bookshelf, Kioo mirror, cathedral, Basil barstool, Flow coat stand, Baku table lamp, Tender side table, and dining tables like Cartesio, Levante and Status. 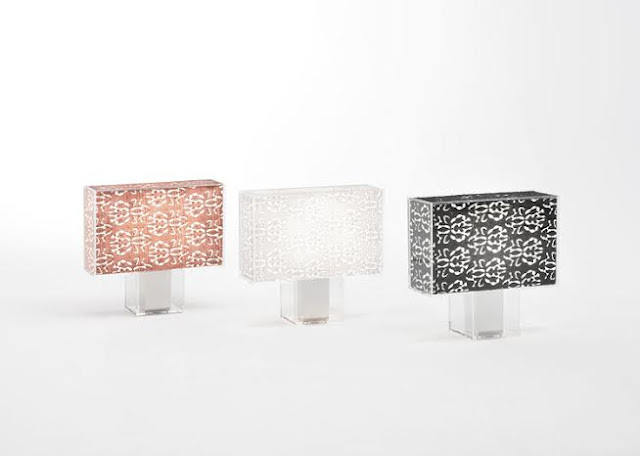 Tonin Casa: Known for its technical breakthroughs in Italian design and innovations, the brand displayed an infusion of Venetian metal art, laced with middle-eastern influences. 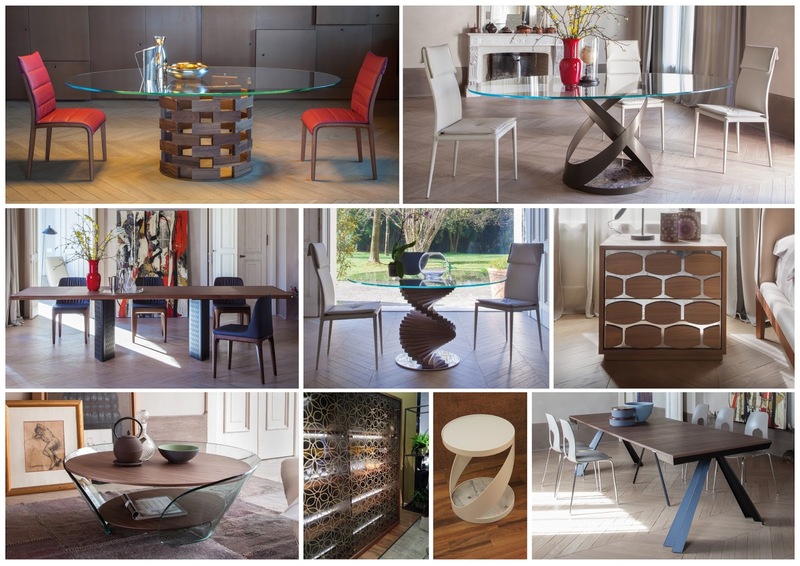 Their expertise in dining furniture is evident from the materials that define fine Italian living. The last year’s collection ranged from intricate metal base of a dining table to the combination of classical bronze metal with marble and glass. The Venezia dining table, the Honey side table with chest of drawers, the Ventaglio console, the Rafaello coffee table, the spiral base Firenze dining table, the Colosseo dining table inspired by the Colosseum, and Capri glass dining table were some of the collection that took the crowd by fascination. Koinor: The brand is well known for its German heritage in sofa making, and a better understanding of human behavior and design. Last year Koinor broke the predictive trends. One of them was an exclusive selection of high-grade upholsteries. Some products came with 5mm leather, which is meant only for certain products and requires extraordinary know-how to use. The products that made a noticeable appearance include Joleen (recliner), Patch (sofa), Neil (orange leather sofa), Cosima (sofa), Silencio (recliner), and Igor (chairs). 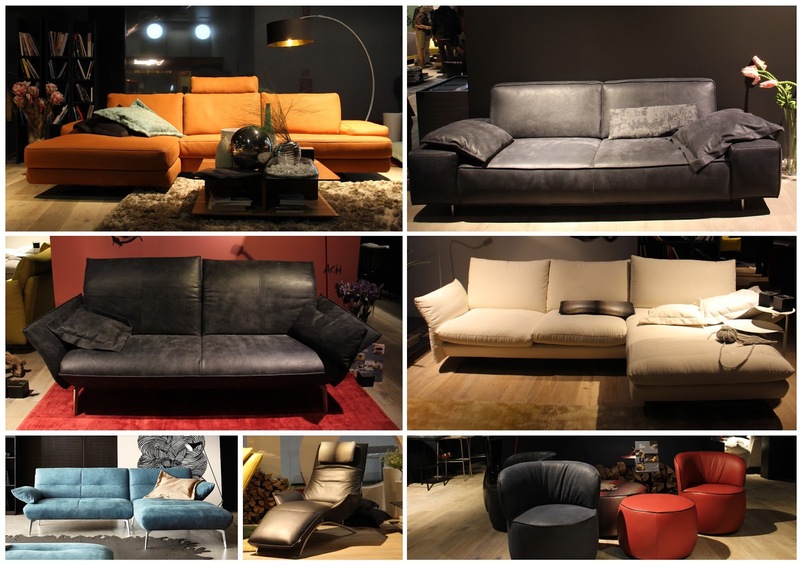 NicolettiHome: Adept in designing the perfect sofa, Nicoletti is all about motion, quality, comfort and aesthetics. Sofas like Mood, Serena, Sharon, Itaca, and Tesla were some of the sofas that caught people’s attention last year. 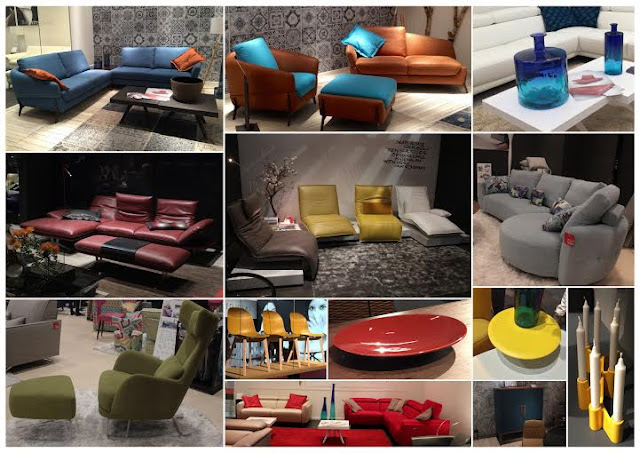 Mood and Itaca were talked about most because of their their functionality and explosion of colours. 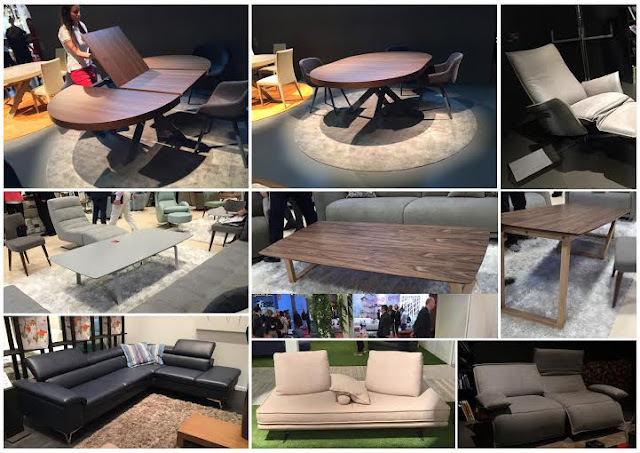 Natuzzi: During the fair, the brand exhibited many new products at the Total Living concept. 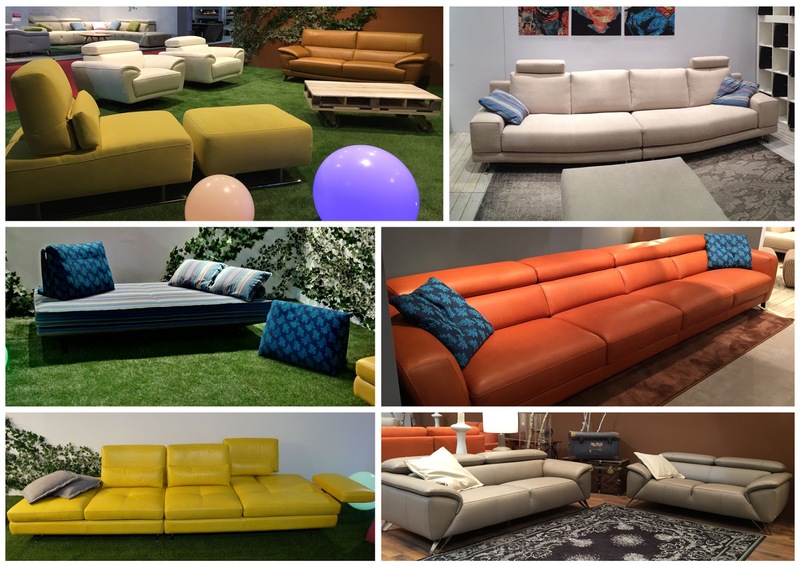 Six new sofas were shown at Salone del Mobile that include Long Beach, Svevo, Holly Iago, Philo and Aplomb. Others include the bed collection had a new model Fenice, the new Accademia table and the Sonata chair were introduced together with a new collection of table accessories. The other two Natuzzi product lines: Natuzzi Revive and Natuzzi Editions also showcased their new offers at the Salone. 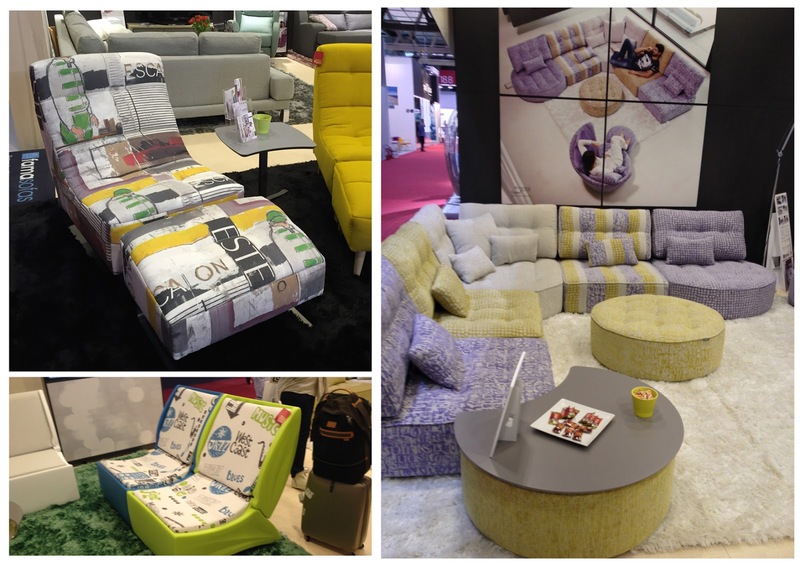 Fama: The brand which is known for its colourful products had host of products unveiled at the fair, to name a few - Madison, My soul, Madison L seater, Roxane, Moon and Lenny. This brand managed to arrest the crowd’s attention with its custom-printed upholstery feature. Technology meets self-expression in Fama's innovative digital printing fabrics. 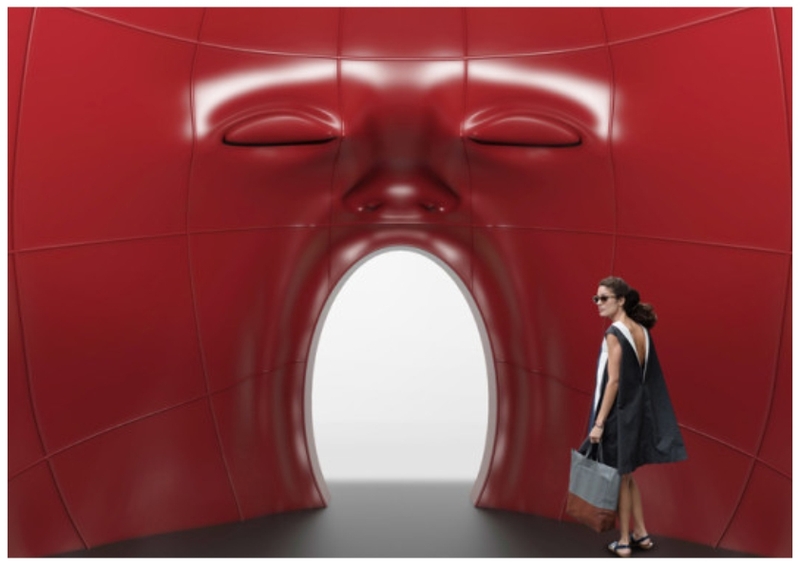 This not only made a statement at Milan but also changed the way furniture is seen. The International Lighting Exhibition, or Euroluce, is held alongside Milan Design Week on alternate years. While it isn't going to be on again until 2017, there's still plenty related to lighting, happening at this year's Salone del Mobile, that will be of interest to architects. In this roundup, we cover a few of the eye-catching exhibits to check out. The right lampshade often makes the difference between elegant lighting or unpleasant glare. Design studio N°21 employs the macramé technique, an alternative to weaving or knitting that uses textile knotting, to good effect in their collection of shades. Carrying on from last year's trend of lamps hung from the ceiling with criss-crossing wires, suspension lamps are still very much in vogue. 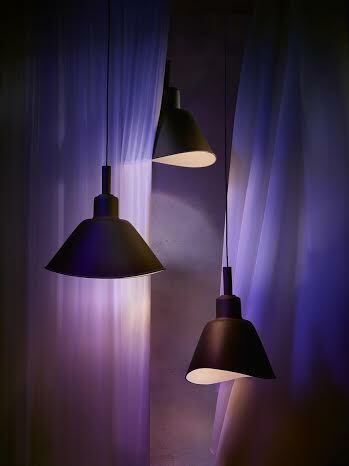 Italian lamp maker Foscarini showcases their Smash collection this year. 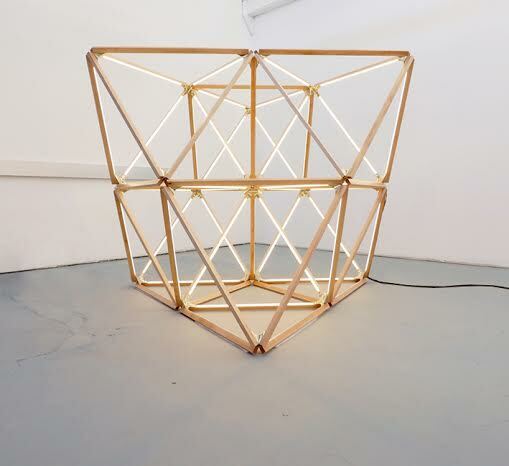 The octahedral "X Diamond 3/60" by Stickbulb employs 3-foot long maple struts joined by beautiful cast brass joints. Bulbs are inserted along the length of the 60 maple struts, for a playful bounce of light in all directions - an effect that draws the viewer to walk around the fixture, and discover its multiple layers. British designer Lee Broom's display setup for his "Optical" light collection, is as much of interest as the objects themselves. Conceived as a travelling exhibition, it recreates a palazzo with stucco and Corinthian columns - inside a delivery van! 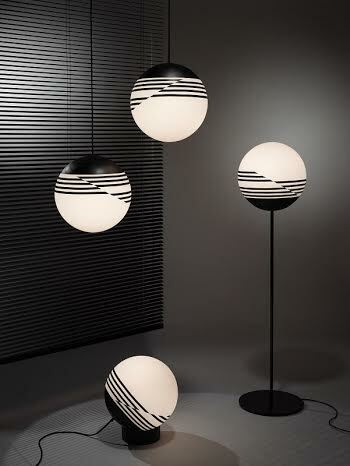 Inspired by the monochrome graphics of the early 1990s, a pattern of black stripes features around one end of the spherical lamps. New York based Apparatus unveils the new "Circuit" collection of lamps. 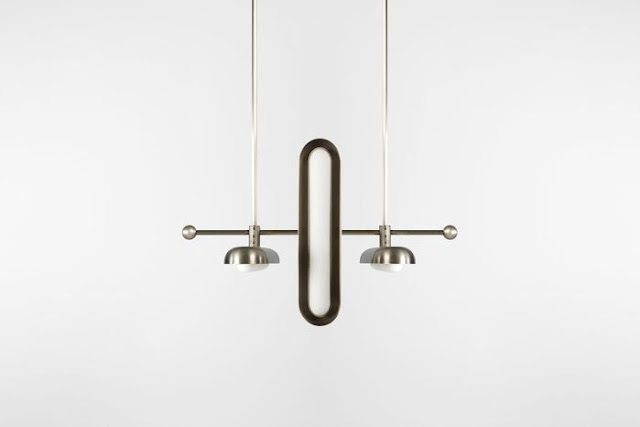 Featuring a luminous glass capsule nested in a brass shade, each self-contained unit can be repeated to create larger fixtures that can be arranged in alternating or stacked configurations. Renowned Czech glass maker Lasvit shows their "Tac/Tile" collection. Based on a purist triangular glass block designed by André Fu Living, Tac/Tile combines traditional glass craft with advanced glass fusing glass methods. The glowing glass tiles are framed by champagne gold and anodized bronze elements. 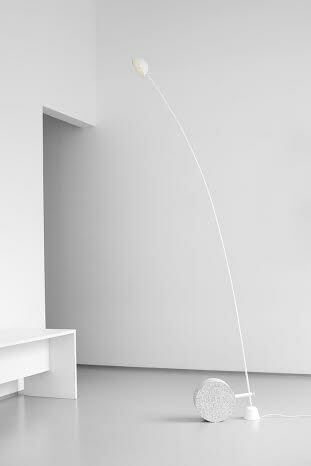 Norwegian designers Bjørn van den Berg and Falke Svatun showcase their "Aerial" floor lamp, a versatile design for a variety of domestic settings. Whether over a low sofa, mid-height recliner, or high bar counter, Aerial casts light perfectly thanks to a round granite element that adjusts the stand's height and curvature, by moving along the powder-coated steel neck. 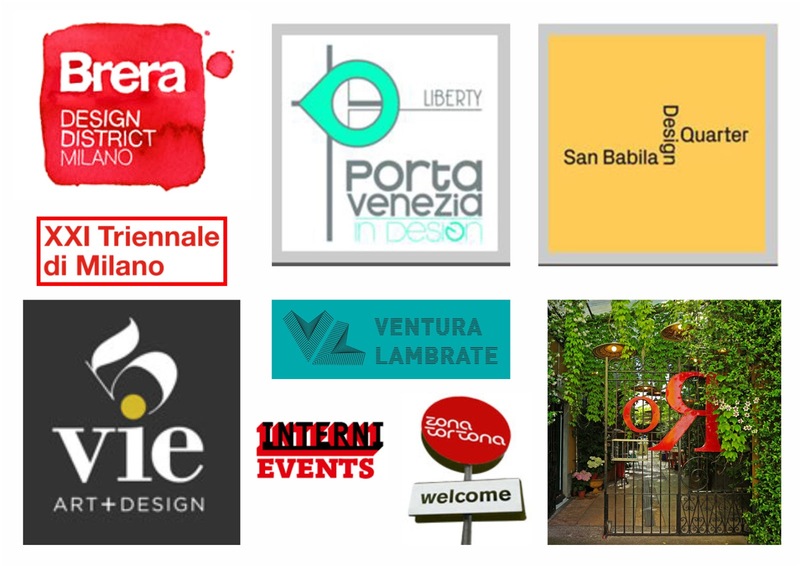 Every year at Milan Design Week and Furniture Fair, there are numerous events that go on alongside the main iSalone furniture fair. 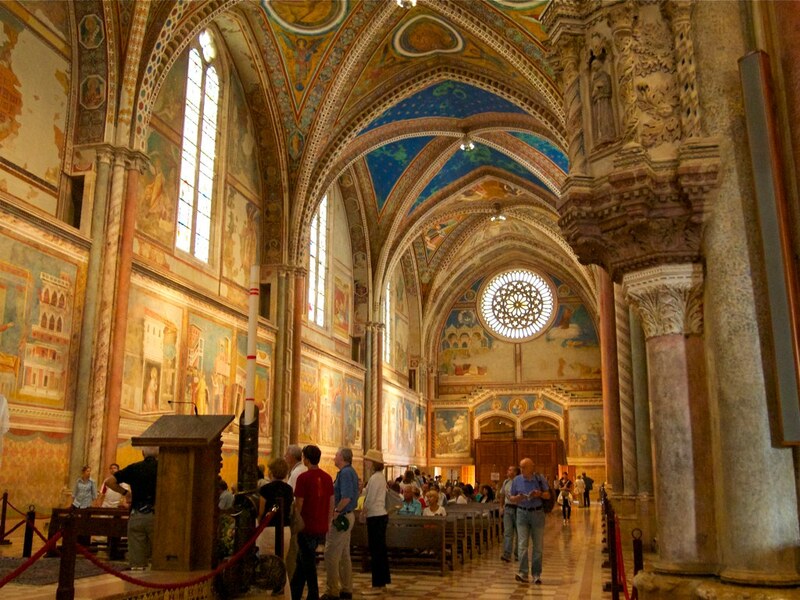 It isn’t uncommon to hear visitors gush that there’s so much to see and so little time. Fortunately, help is at hand: throughout MDW season this year, we’ll be covering the most important and interesting news, with a focus on subjects of special interest to architects and interior designers. In this post, we take a small glimpse at some of the most relevant events, outside the main iSalone event. This year, two things that catch our attention the most are exhibitions at the Triennale Design Museum, and an interiors-focussed event in the Brera district. Of course, the Salone Satellite is always very exciting, but given its scale, it’s an event that deserves a special section on its own. We will bring you a richer report in the coming week (you can subscribe for updates here). In the meanwhile, you should know about “ROOMS. 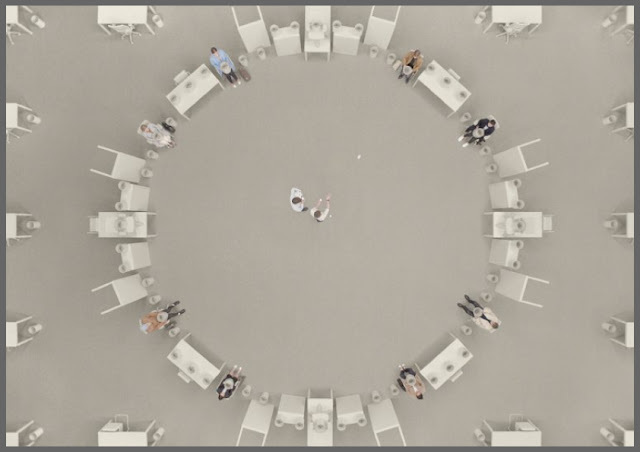 Novel Living Concepts”, an exhibition which examines how we spend our lives in these partitions within interior spaces. Eating, sleeping, working, resting, relaxing, thinking – rooms are expected to facilitate every aspect of human endeavour. Held at the Triennale, this exhibition starts with a look at rooms through history, and goes on to feature works by renowned architects on their approaches to room design, ranging from the practical, to the purely conceptual. Carlo Ratti's 'pin room' on display at the Triennale can be endlessly customized. 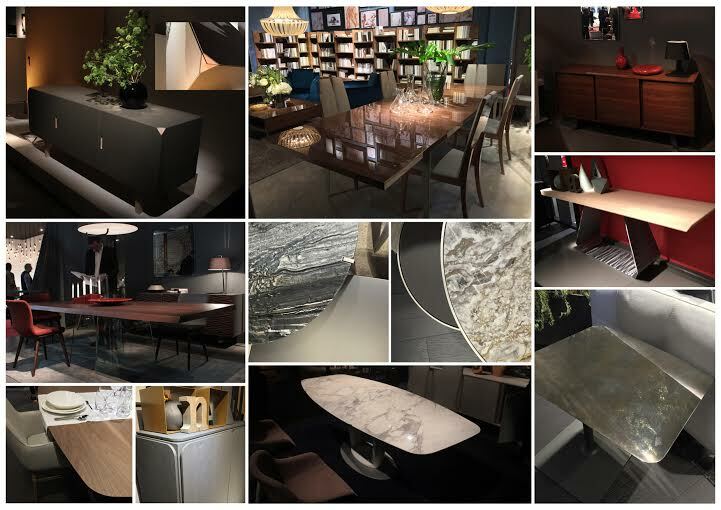 The other significant event is at Porta Nuova, and is aptly dubbed, “space&interiors”, as a showcase of the latest trends in the world of finishes. Here, you can expect a novel multi-sensory experience that immerses you in breakthrough materials, components, and ideas, covering everything from glass, floors, doors and handles, to windows, surfaces, facades, and even home entertainment. An oft-quoted anecdote to illustrate the impact of design on human psychology, is the story of Jonas Salk, the virologist who developed the polio vaccine. Despite working passionately for 16 hours a day, 7 days week, Salk was unable to crack the polio puzzle for years. 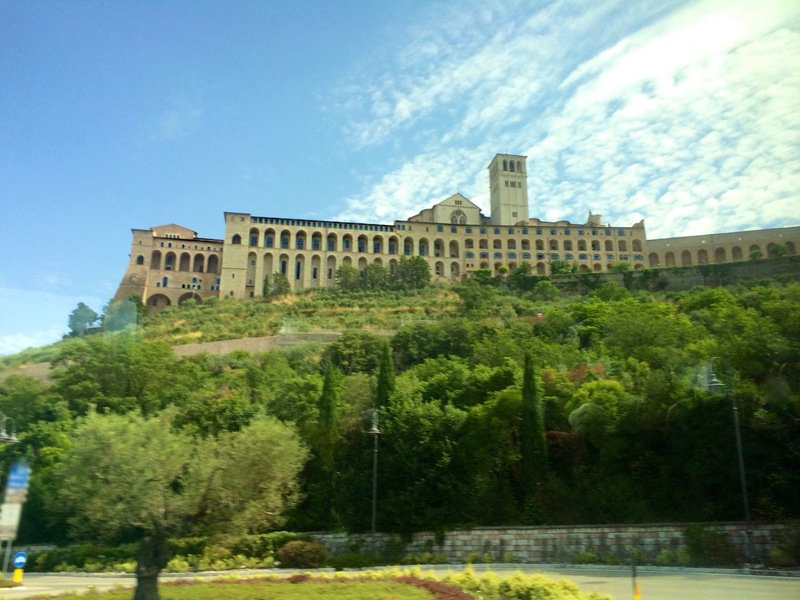 Finding himself at an impasse, Salk took a brief break in Italy, where he spent time at the Basilica of San Francesco d’Assisi, a 13th-century Franciscan monastery. The rest, as they say, is history. In his speech to the American Institute of Architects, Salk explained that the monastery’s high ceilings, tall windows, beautiful frescoes, and abundant natural light enabled the leap in thought he’d been struggling for all along. It was this breakthrough that allowed him to develop the Salk vaccine. From a staggering 350,000 cases of polio a few decades ago, today, fewer than 90 have been recorded worldwide. 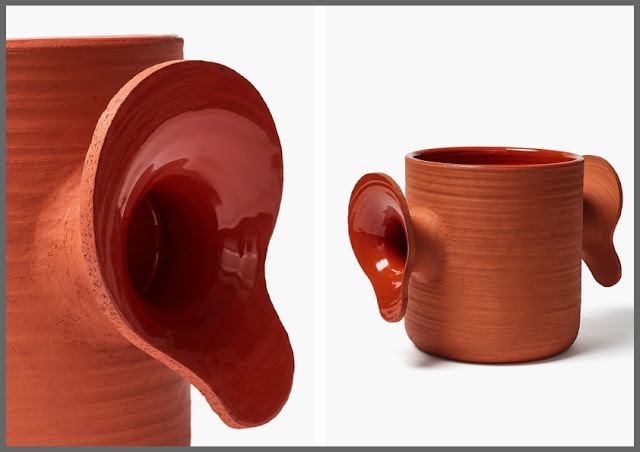 This is perhaps one of the most dramatic examples of how design can impact lives beyond just the realm of its form and function. Winston Churchill famously said, "We make our buildings and afterwards they make us," and it may seem obvious that by shaping the spaces in which we live and work, architects and designers inevitably influence people's behaviour. Architects have long tried to make use of design to affect people in ingenious ways. 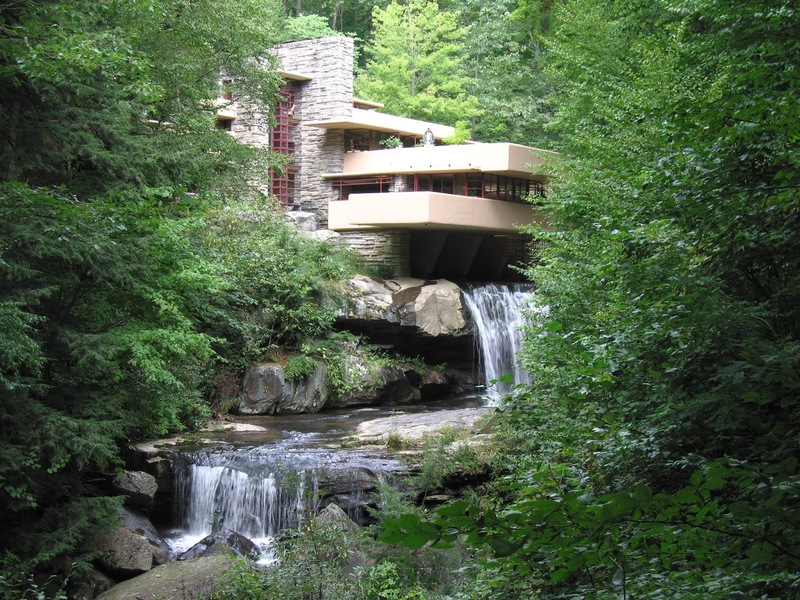 For instance, in his structures, Frank Lloyd Wright often designed narrow corridors leading to open spaces, so that the contrast to the expanse and light gave people a more dramatic experience, making them happier. But it’s only recently that research has begun to uncover the specific ways in which the design of structures, interiors, and furniture, affects not just how people act, but also how we think, feel, and perceive the world around us. It is now well documented that spaces that are brightly-lit with full-spectrum lighting, make people more alert. This principle has been used to good effect in schools and offices, with higher test scores and increased productivity being seen as a correlating result. Interestingly, such environments have not only been linked to an immediate increase in alertness, but also to more long-term effects, such as reducing cognitive deteriorating. In a recent study, participants viewed a series of objects, while their brains were scanned with fMRI. The part of the brain associated with fear processing, was found to be more active when participants viewed objects with sharp angles. Naturally, interiors with furniture featuring curves and rounded edges are better suited to relaxation. And, of course, as Salk experienced, spaces with high ceilings are more conducive to creativity, while low ceilings seem to be ideal for tasks that require more intense concentration over short periods of time. Today, more and more architects and designers are applying these principles to create structures that foster well-being, and interiors that help us feel happier, whether through the use of furniture that promotes collaboration, sofas that encourage spending time together, or building layouts that keep us fit.